Sachin Ramesh Tendulkar is a former Indian cricketer and captain. He took up cricket at the age of eleven. Sachin widely regarded as one of the greatest batsmen of all time. Here are some interesting facts about Sachin Tendulkar. The first school Sachin attended as a child was Indian Education Society‘s New English School in Bandra East. Sachin’s elder brother Ajit Tendulkar had played cricket alongside former India wicketkeeper Chandrakant Pandit and former India opener Lalchand Rajput. In 1990, while returning from the tour of England at the age of 17, Sachin met his wife Anjali for the first time at the Mumbai airport. Sachin got married at the age of 22. Sachin’s father-in-law, Anand Mehta is a seven-time national bridge champion. 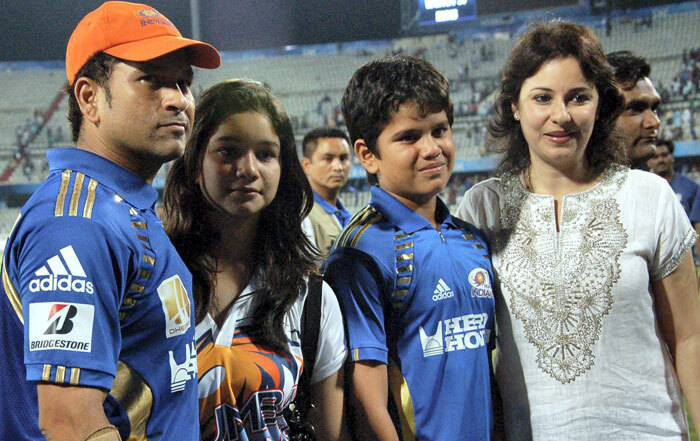 Sachin’s daughter ‘Sara’ is named after the first tournament Sachin won as a captain – ‘Sahara‘ Cup in 1997. Sachin’s father, Ramesh Tendulkar, named him after the famous music director Sachin Dev Burman. Sunil Gavaskar gifted the 14-year-old Sachin a pair of his own ultra-light pads. Those pads were later stolen while Sachin was at the under-15 national camp. Dilip Vengsarkar gifted Sachin a GM bat after he was selected for the under-15 Bombay squad. Dennis Lillie rejected Sachin when he went to the MRF Pace Foundation to become a fast bowler. Sachin met Sourav Ganguly for the first time at the under-15 national camp in Indore. Sachin scored his life’s first century for Shradashram Vidyamandir against the Don Bosco School, Matunga, in the Harris Shield quarter-final at Shivaji Park. Sachin’s average in the 1988 Harris Shield was 102.5. CCI amended its rules to allow 14-year-old Sachin to use its dressing room. Sachin and Gavaskar were both named among the 36 Bombay Ranji Trophy probables in 1987. 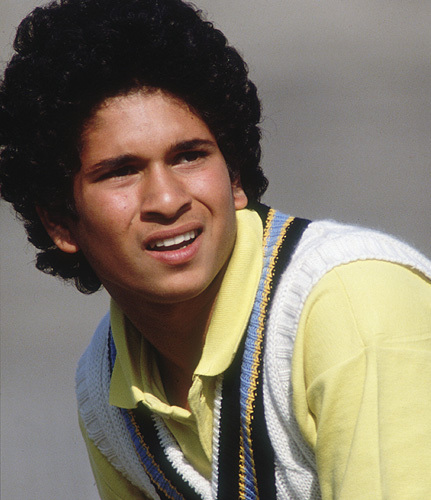 Sachin was one of the ball boys during the 1987 World Cup held in India. 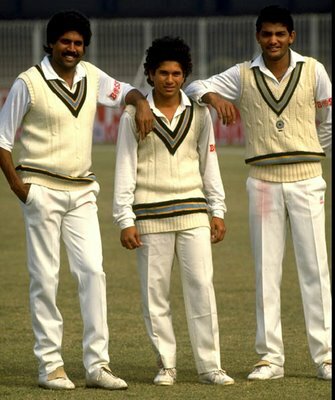 Sachin, Waqar Younis, Salil Ankola and Shahid Saeed made their international debuts together in the 1989 Karachi Test. Sachin’s debut Test was Kapil Dev’s 100th. Sachin scored a duck in his ODI debut, which was against Pakistan. Sachin scored his first Test century against England at Old Trafford, Manchester, in 1990. Sachin’s first bowling figures in both Tests and ODIs are identical: 1-0-10-0. In the Kotla Test against Pakistan where Kumble took a perfect 10, whenever Tendulkar handed Kumble’s sweater and cap to the umpire at the start of an over, Kumble took a wicket. So he continued doing that until Kumble took all ten. Sachin made his home international debut against Sri Lanka in 1990. Sachin was the first batsman to be given out by a third umpire in the 1992 Test series in South Africa. The umpire was Karl Liebenberg. In 1992, Sachin became the first overseas cricketer to play for Yorkshire County Cricket Club. Yorkshire Television contributed 30,000 pounds to felicitate Sachin’s stint with Yorkshire. A Magnum champagne bottle was gifted to Sachin when he scored his first Test hundred at Manchester in 1990. But he couldn’t open it as British rules didn’t allow those under 18 to do that. Sachin chose to wait for 8 years and popped it at his daughter Sara’s first birthday in 1998. Sachin scored his first century on Indian soil in 1993 against England at the MA Chidambaram Stadium in Chennai. In the second ODI on the tour of New Zealand in 1994, Sachin opened the batting for the first time. Sachin has been involved in 20 century partnerships with Rahul Dravid totaling over 6000 runs. It took Sachin 79 matches to score his first ODI century. After that, he scored 48 more. Sachin holds the record for completing his hundred with a six the most number of times by doing it on six occasions. The highest number of centuries hit by Sachin at a single ground have come at the Sharjah Cricket Association Stadium, where he has scored 7 ODI tons. Sachin has also opened batting in Test cricket, but only once – with Sadagopan Ramesh in the Ahmedabad Test against New Zealand in 1999. He made 15. The only Test-playing nation where Sachin has never scored a Test century is Zimbabwe. Sachin has never faced Anil Kumble in a Ranji Trophy game. Sachin became the most-capped Test player after overtaking Steve Waugh’s record of 168 Tests. Sachin carries India’s national flag in his cricket bag and also sports it on his helmet. Shane Warne accompanied Sachin to Sir Don Bradman’s house on the batting legend’s 90th birthday. Sachin visited London’s Madame Tussauds for the first time in 1988. Twenty years later, the museum had his wax statue. 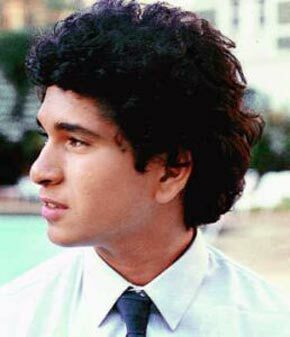 Sachin made guest appearance in a Bollywood movie titled ‘Stumped’ in 2003. 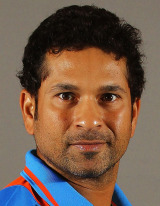 Sachin holds the record for scoring most Test centuries (5) before turning 20. In 2007, Virgin Comics created a new superhero called ‘Master Blaster’ based on Sachin to launch a new series of comic books. The Future Group launched a toothpaste named after Sachin in 2010. It was called ‘Sach’. Sachin’s photographer friend Atul Kasbekar convinced him to join Twitter in May 2010. In 2008, Sachin appeared in an Australian reality television series called An Aussie Goes Bolly. The first product endorsed by Tendulkar as teenager was ‘Band-Aid’. In 1995, a sports management deal with WorldTel saw Sachin becoming the richest cricketer in the world.